FEDERAL Transport Minister Darren Chester believes funding for Section D of the Cooroy to Curra upgrade is the highest priority for future Bruce Highway projects, following a meeting today with Wide Bay MP Llew O'Brien. Mr Chester described the meeting as constructive and productive, and has accepted an invitation to visit the region. "Mr O'Brien has earned himself a reputation as a local champion, particularly when it comes to road safety. 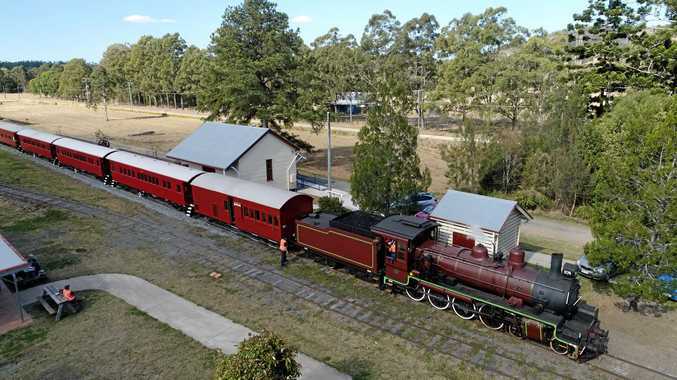 He has seen first-hand the progress made on the Cooroy to Curra upgrade under the Coalition Government and wants to see that momentum maintained,” Mr Chester said. 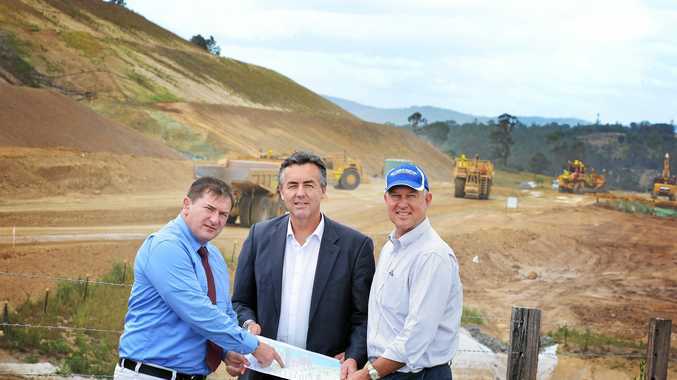 "There are four projects which make up the Cooroy to Curra four lane works, with Section B completed in December 2012 ($361.6 million Commonwealth funding), Section A completed in May this year ($245 million Commonwealth funding), and Section C due to be finished early next year ($307.4 million Commonwealth funding). Section D is the largest project. "That is almost $1 billion invested by the Australian Government in the Cooroy to Curra projects - and obviously the next priority project should be Section D, with it being critical to improved driver safety and freight efficiency on the Bruce Highway. "The Coalition has already provided $52 million funding for planning and design work on Section D, but there is still much to be done - including completion of detailed designs and costings. We need to know what it will cost before we can make firm Budget commitments. Mr Chester said the Coalition's commitment to upgrading the Bruce Highway was ongoing, with $6.7 billion in Australia Government funding invested in the Bruce Highway Upgrade Program. "We are seeing transformative and live-saving projects happening up and down the Queensland coast, including the seat of Wide Bay. This financial year we will see works start on the upgrade to the Bruce Highway/Wide Bay Highway intersection, funded with $11.2 million from the Coalition, as well as a $2 million project to seal part of the Noosa Coastal Link Road,” he said. "The Coalition also invested more than $30 million in the newly opened Tinana interchange near Maryborough, making it safer for heavy vehicles and other drivers. These are all tremendous road upgrades for the region, and each one of them will contribute to improving driver safety, boosting economic productivity and supporting and creating local jobs.